Dr Simon is the leading Australian neurologist in the use of nerve and muscle imaging to diagnose nerve and muscle injury.. The NBN practice was the first private neurology practice in Australia to routinely use ultrasound for the diagnosis of nerve and muscle disorders. Using an ultrasound can help pin point the exact location of your injury and thus help speed up your diagnosis and subsequent recovery – we think that offers our patients a huge advantage with managing treatment plans. Ultrasound is harmless and painless and provides excellent detail of nerve and muscle structures. It provides valuable information on the structure of nerve and muscle and is complementary to the results of nerve conduction studies and EMG. 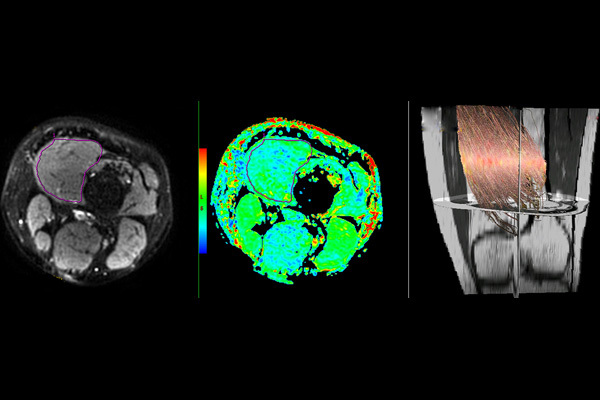 Ultrasound may be able to identify the precise cause and location of nerve or muscle injury. Ultrasound is also useful to guide treatments such as nerve or muscle injections, as it can visualise the needle so that the injection is placed accurately. Ultrasound testing may be useful when nerve conduction studies and EMG have not found the cause for the symptoms, when nerve injury is progressing rapidly or when atypical features are present. It is also useful for those patients who are unable to tolerate nerve conduction studies.